Ethan Arnault (Chambers Fellow) is a PhD student in Duke University's Physics Department. He graduated from Cornell University in 2016 where he worked with J.C. Seamus Davis, one of the leading physicists in using probing techniques to unveil the properties of superconducting materials. During his time in the Davis Group, Ethan studied the properties of Strontium Ruthenate, which is believed to be a P-Wave superconductor. He was also tasked with designing and constructing components for a next generation Spectroscopic Imaging Scanning Tunneling Microscope, that was to be integrated with cutting edge experimental devices such as ARPES and MBE. At Duke, Ethan is working with Professor Gleb Finkelstein, who studies the behavior of graphene and other nanostructures. 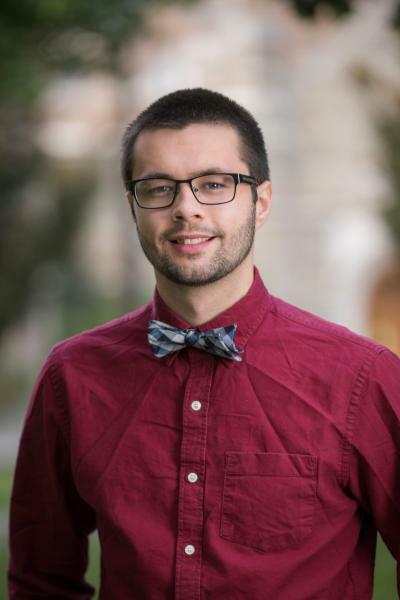 Wiley Dunlap-Shohl(Chambers Scholar) is a third-year Ph.D. student in the Department of Mechanical Engineering and Materials Science. He graduated from Dartmouth College in 2013 with a B.A. in Physics and a B.E. with a focus on mechanical design. As an undergraduate, he worked on the development of a computational magnetohydrodynamic model for space weather prediction under the direction of Prof. William Lotko, for which he constructed a semi-empirical model of the proton component of the aurora and its effects on the conductance and electrodynamics of the ionosphere. 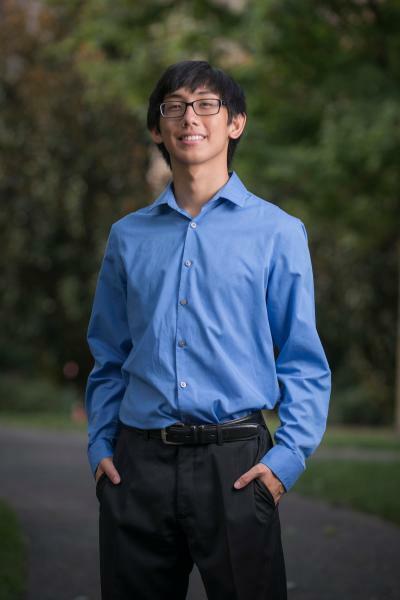 Since graduating college, his main professional focus has been the design of renewable energy technology, and he has worked on a variety of such initiatives, including small-scale hydroelectric power and compressed-air energy storage. 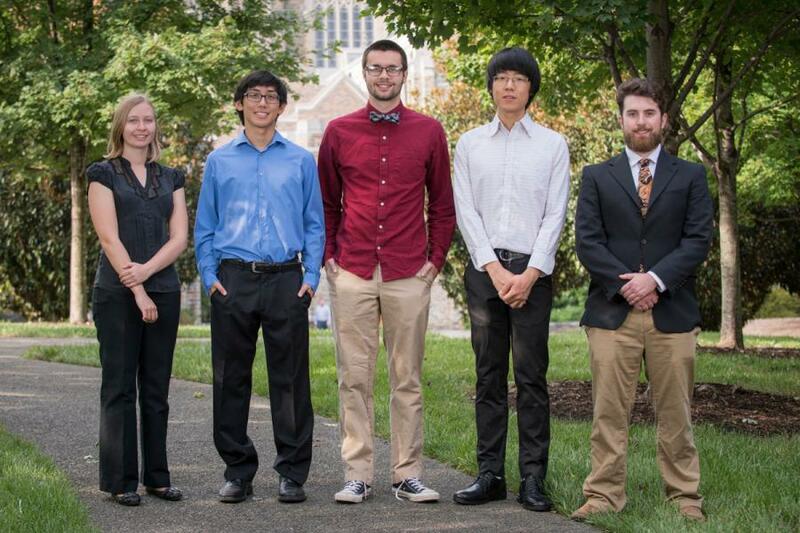 At Duke, his focus is on organic-inorganic perovskites, a recently developed family of materials that display exceptional promise for use as photovoltaic absorbers due to their superior optoelectronic properties, but suffer from rapid degradation in normal ambient atmospheric conditions. His research is currently focused on understanding how the physical and chemical nature of interfaces between the perovskite and other electrical contact materials used in solar cell construction affect photocurrent generation, charge transport, stability and reactivity of the devices. Recently, he has developed high-performance perovskite solar cells using cadmium sulfide as an electron transport material, and studied chemical reactions which can occur at the perovskite-CdS interface. His primary aim is to demonstrate a perovskite solar cell architecture that is capable of converting sunlight to electricity with high efficiency and long-term reliability, and whose design is compatible with established industrial manufacturing processes. 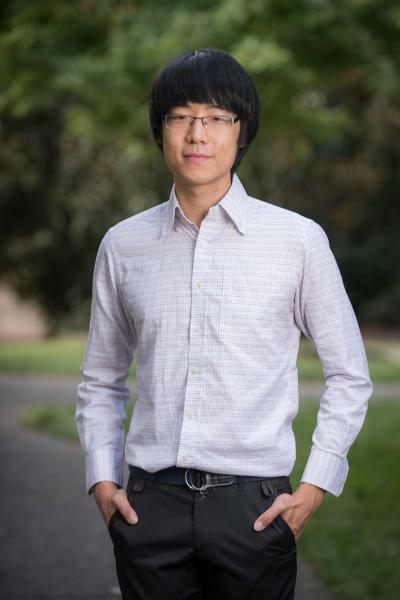 Ren Odion (Chambers Fellow) is a first year PhD student under the mentorship of Professor Tuan Vo-Dinh in the department of Biomedical Engineering. He graduated from UCLA in 2016 with B.S. in Bioengineering. As an undergraduate, Ren worked with Professor Aydogan Ozcan as part of the HHMI Undergraduate Research, Training, and Innovation program. His work included developing novel point of care systems for diagnostics and telemedicine. Over two years, he worked with the identification and characterization of micron sized nanoparticles using a portable lensfee imaging set-up as well as an ELISA-based lab-on-chip device. In the summer of 2016, Ren participated in the Amgen Scholars Program at the University of Tokyo. There he worked with Professor Keisuke Goda in developing wall-less microfluidic systems for ultrafast imaging systems. Ren’s current research in the Vo-Dinh lab is focused on the use of nanoparticles for theranostic applications in diseases such as cancer. 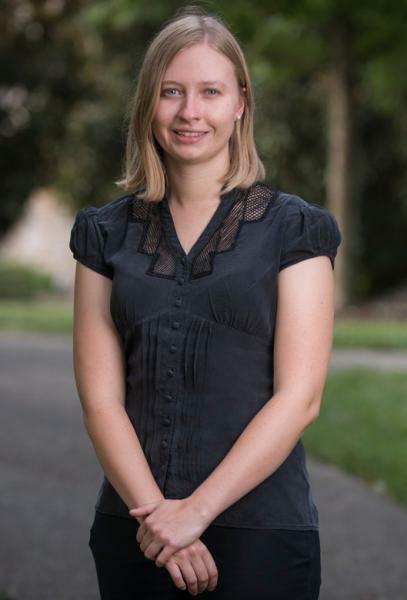 Ruijie Darius Teo (Chambers Fellow) is a first year Ph.D. student in the Department of Chemistry under the guidance of Professor David Beratan. As an undergraduate at the California Institute of Technology, Darius studied the biophysical properties of metallocorroles and their interactions with proteins using a variety of computational, spectroscopic and imaging techniques. Inspired by these systems, Darius is researching biological electron transfer and its role in human diseases by utilizing a broad range of computational and mathematical methods. Callie Woods (Chambers Scholar) is currently a third year PhD student in the department of Electrical and Computer Engineering working under the guidance of Professor Nan Jokerst. She graduated from Princeton University in 2014 with a BS in Electrical Engineering. Her current work involves the development of a Si photodetector array for the sensing of Cytochrome C Oxidase (CCO). Using Monte Carlo simulations, the optimum detector configuration for photon path length extraction through different biological tissues is modeled. The detector arrays are fabricated in SMIF. Testing on the arrays is performed using both liquid and solid phantoms to verify accurate path length and chromophore concentration quantification. Absolute quantification of CCO is useful for patient monitoring during the delivery of anesthesia and could improve patient outcomes. 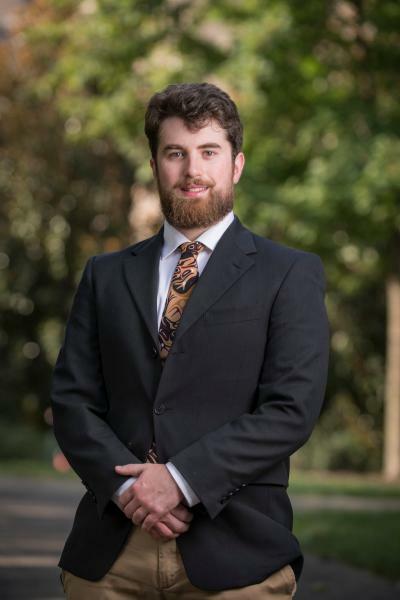 Alex Hunter Fisher (Chambers Fellow) is a first year PhD student in the department of Physics. He received his BS in Physics from North Carolina State University in 2016. His undergraduate research involved the study of DNA mismatch repair proteins using fluorescence resonance energy transfer (FRET). His current interests include both optics and biophysics.